This graphic pack will make Legend of Zelda: Wind Waker HD for Cemu a little more clear. The last few posts that I’ve made involving Wind Waker HD for Cemu has focused mainly on ways to improve the gameplay. If you haven’t read them, I would definitely check out the high resolution shadows and trigger fix. This graphic pack will reduce the bloom effect that the game applies. Unlike the other posts where you had to download files, this fix is included within Cemu. While applying the reduce bloom graphic pack only has a subtle change, it does in my opinion look better. The pack reduces a shader effect, or what I call “glow” that you see within the game. You can read more about the bloom effect on Wikipedia. The screenshots below are an example of the difference between the normal game and with reduce bloom activated. Since it’s already included within Cemu it’s quite easy to apply. 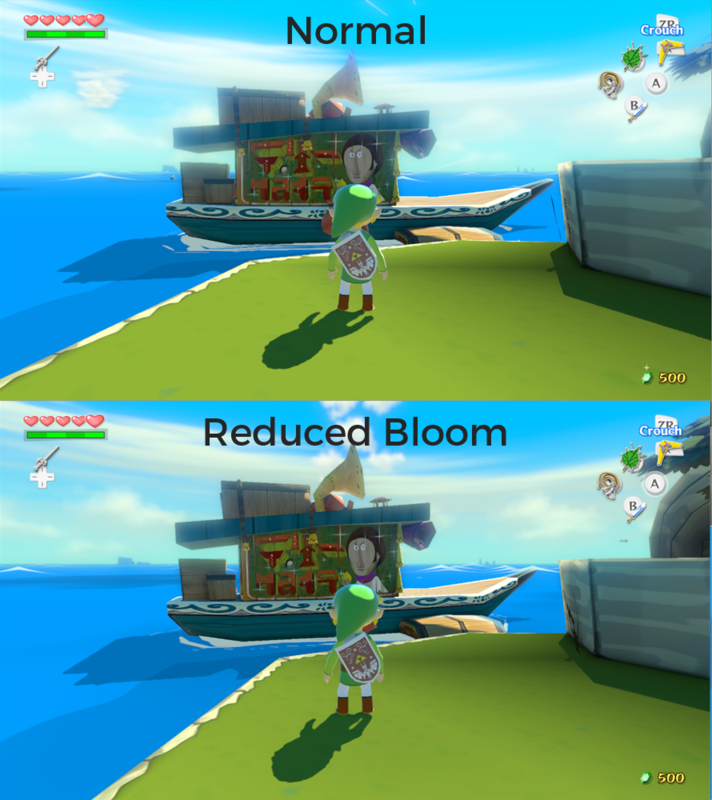 Cemu > Options > Graphic Pack > The Wind Waker HD – Reduced bloom. With the Reduced bloom graphic pack the game should look just a little bit clearer. Pair it with the high resolution shadow graphic pack, you can easily take the game to another level graphically.